If you are looking to create Mobi format but you already have a validated ePub format done by a professional conversion service provider then assume half of the job is already done. 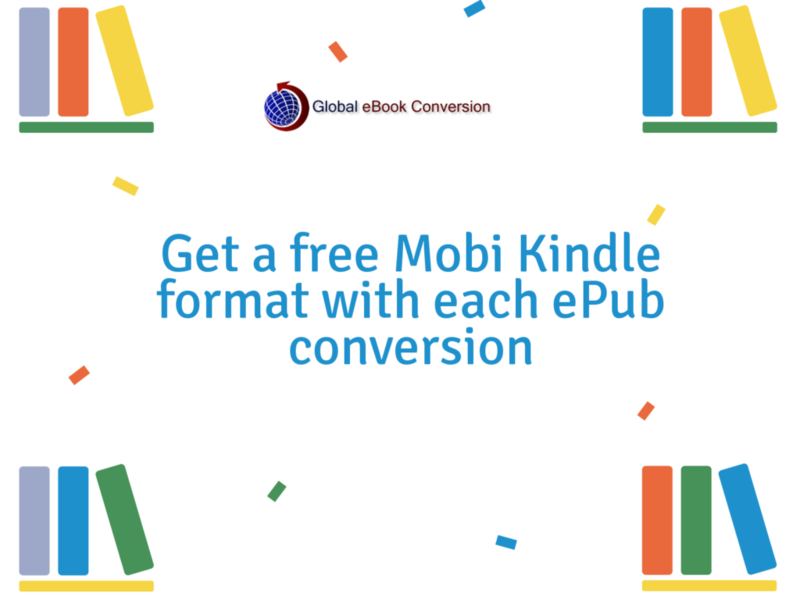 If your ePub format is validated through ePub checker tool and passes through all the standards of eBook conversion, then Mobi conversion become a little easier. ePub and Mobi are the two most popular digital eBook formats that are widely used by the readers. ePub files can be played on mobile devices, desktops, and e-reader devices. It is a standard format that is accepted by the leading online e-book publishing platforms. Similarly, .mobi is also a standard eBook format and contains rich graphics and smooth page navigation controls like ePub. While we know Mobi format can be played on Amazon Kindle and Kindle Fire devices, we must highlight the fact that Amazon devices have above 60% market share still. All these users carrying Kindle devices would always need Kindle specific formats which are a Mobi format. Hence we always suggest having a Mobi format along with an ePub so that you have maximum coverage on the users. Mobi format can be played on Kindle devices and desktop readers. an ePub format can be played on Apple iPad, Apple iPhones, Sony Reader, Nook and Android Mobiles. Which means having these two formats you are basically covering most of the market section. Coming back to the reliability of Mobi formats, they are pretty portable with Kindle devices and accommodate complex formatting similar to ePub formats. We at GEC, ensure that the converted Books show a remarkable familiarity with the screen of the device, no matter what is the device resolution. Responsiveness of the Mobi format will make it work on any device resolution. The biggest perk of choosing our ePub to Mobi conversion is, we set our service charges competitive, even lesser than the current market trends. In fact, if you wish to get an ePub format, you will get a Free Mobi format along with it with no additonal cost. If you are looking for a Mobi Conversion service or wish to create ePub to Mobi format, do not hesitate to ping us. We are happy to assist. Contact us here.